The last package roundup was back in February, so we wanted to highlight a few packages we’ve been trying out recently. Let us know if you’ve been working on or using interesting packages which haven’t been featured yet! 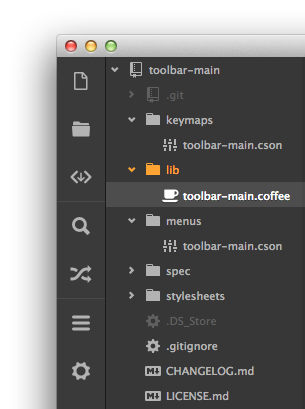 This package by @suda provides an extensible tool bar for Atom, with configuration options for orientation and icon size. By itself, the package shows an empty tool bar but there are already other packages which add buttons to it. Tool Bar Main, again by @suda, adds buttons for common actions like creating a new file and opening Settings View, while Flex Tool Bar, by @cakecatz, allows you to easily add new buttons for Atom commands and opening URLs. 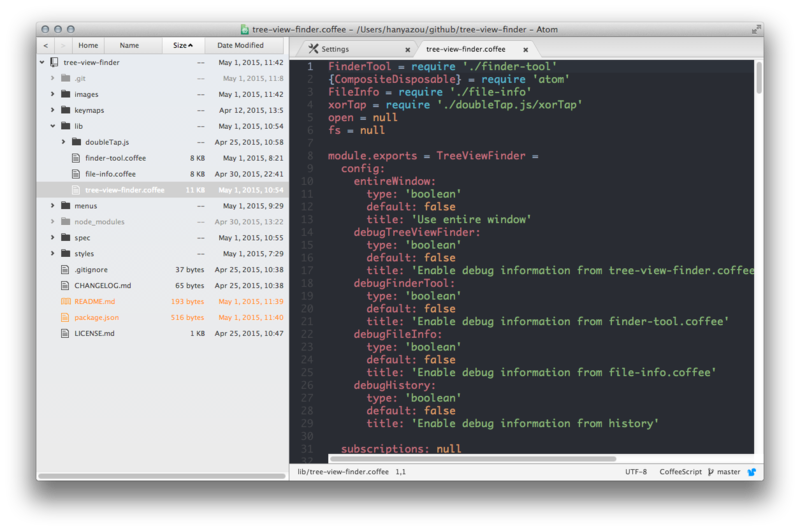 This package by @hanyazou alters the default Tree View to have a more OSX Finder look-and-feel. Dates and sizes are added to the view, entries can be sorted by name, size or date, and you can enter a folder or open a file with an external program by double clicking. Great work! Type like a pro with these two packages which make mechanical keyboard sounds or typewriter sounds as you type. Thanks @remanc and @surdu! @prrrnd created this neat package for quickly listing and opening your local Git repositories. This package by @geksilla allows you to use an external tool, like ag, grep, ack, or git-grep, to search through files and see the results in a list view. 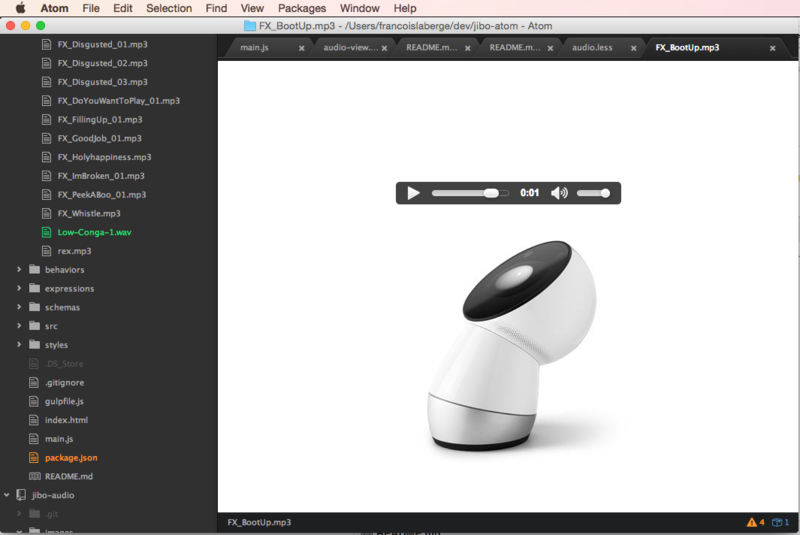 If you wanted to use Atom to play .mp3, .ogg, and .wav files – now you can with this package from @jiborobot. Inspired by Bret Victor’s ideas on the power of instant feedback and by the design of Light Table, @willwhitney created this amazing package which lets you run code directly in Atom using any Jupyter kernels you have installed.